New users: get 2019 and 2020 for $199.00 ! 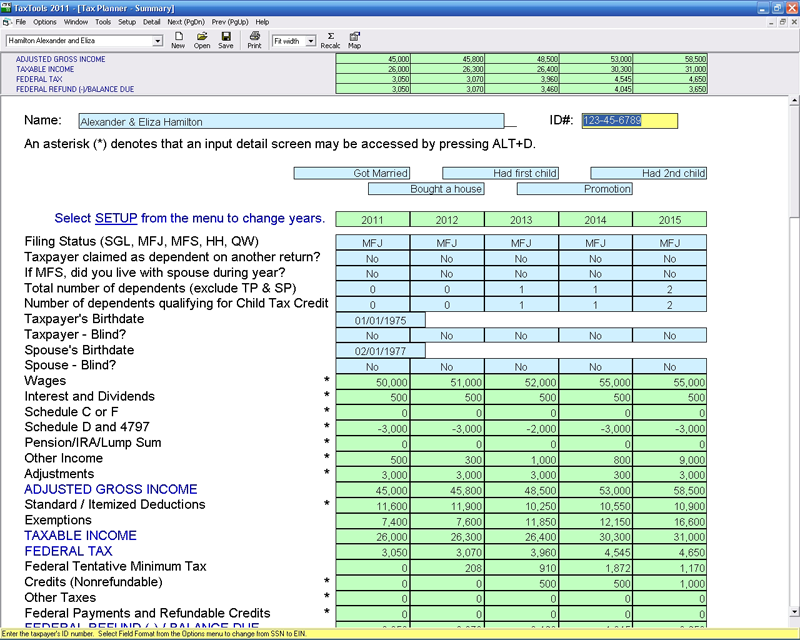 CFS TaxTools ™ is the most widely used program of its kind in the tax profession! Worksheets print with the client's name and your firm name in a professional quality format. Include them as attachments to the tax return or present to the client with an invoice, which can also be generated by TaxTools. 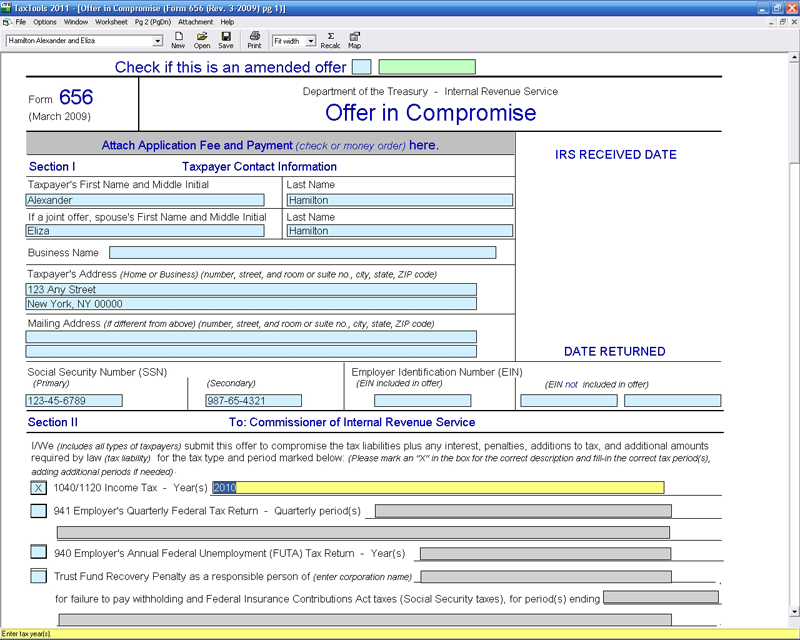 Hundreds of tax forms included (many not found in tax preparation software), such as SS-4, Power of Attorney and Offer in Compromise. Client information is mapped directly onto the form. Multiple versions of a form may be saved for a client. Forms print exactly as they appear on screen. 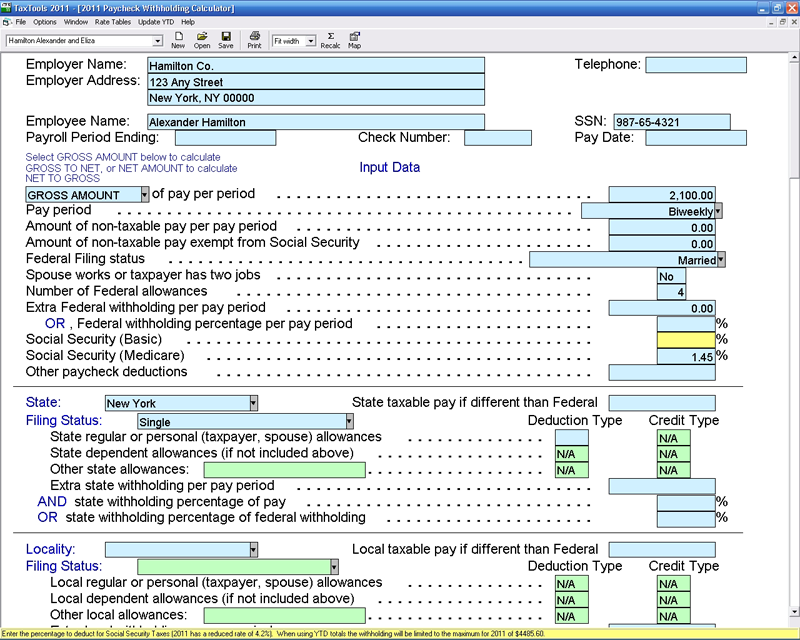 Most forms can be e-mailed as a PDF. Handy financial calculators, including Mutual Fund Average Cost Basis and several Loan and Investment modules. Flowcharts allow you to answer a series of questions to determine filing status, inherited IRA options, whether the taxpayer falls under the "Kiddie Tax" rules, etc. Update from the internet when forms or laws change. Data backup and restore. Save clients to any type of storage device and easily retrieve them with a few clicks. Client and preparer database. Add an unlimited number of clients, employees, and preparers. Easily manage them with our intuitive interface. Tutorial & context sensitive help. Watch a movie with step-by-step instructions on how to use various parts of the program. Or, get help on-the-fly as you use each module. Auto Lease Inclusion Amount...and more! IRA: Inherited IRA - Required Minimum Distr. IRA: Why Convert a Traditional IRA to a ROTH IRA? Occ. Deds. for Vehicle, Travel and Entertainment Exp. Paycheck Withholding: CA 2011 10% Over W/H DE 4 Adj. Social Security: Take It at Age 62 or Later? Special Avg for Lump Sum Distrib. State Sales Tax Ded. Calc. & Comp. to Inc. Tax Ded. New EIN: when does an entity need one? 8868 (App. for Ext. To File Exempt Org. Ret.